Entries close at 12 NOON on THURSDAY 30 AUGUST 2018. Fee - $1800. Handicaps will be declared not later than TUESDAY 11 SEPTEMBER 2018. There is no maximum weight for this race. Minimum top weight of 58kg at the time of weights being released. There is no minimum top weight after acceptances. The Handicapper can determine that, after declaration of weights, a subsequent winner of an internationally recognised Listed, Group or Graded flat race may carry additional weight. (It's only applicable for handicapped races >= 1600m, or non-handicaps >= 2300m). Any horse for which a declaration is not received is removed from the race. Ballot order will be - asides from those runners who are exempt - in descending weight figure. Those of equal weight will be ordered by aggregate prizemoney received in the Qualifying Races since 1 February 2016 inclusive. Progressive order of entry lists will be available on a regular basis from Friday 21 September 2018. This thread's a little bit early but there's news coming out, so may as well have a place to keep it all. 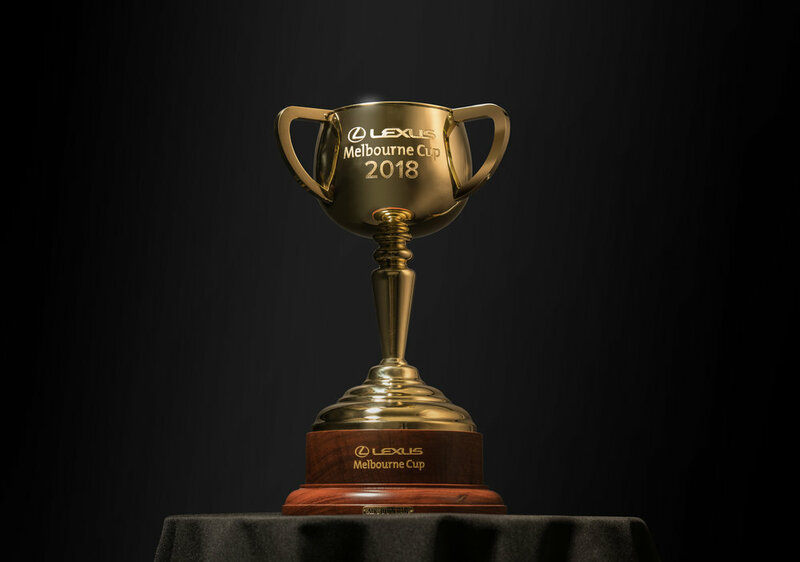 The international invasion on the 2018 Spring Racing Carnival has begun early, with confirmation that high-class Japanese horses Chestnut Coat and Sole Impact have both been entered for the $5 million Stella Artois Caulfield Cup (2400m) and the $7.3 million Lexus Melbourne Cup (3200m). Multiple Group 1 winner Yuichi Fukunaga has been earmarked for the Melbourne Cup ride on Sole Impact, whilst Chestnut Coat’s connections have identified experienced jockey Yuga Kawada, who came to Australia in 2006 to help prepare Melbourne Cup runner-up Pop Rock, as the man to guide their galloper to glory in both Cups. Chestnut Coat is currently the $17 favourite with Centrebet in All-In betting. No price on Sole Impact. Last edited by walkermac : 18th July 2018 at 02:14 AM. Per above, the "Within 7L in last start" wasn't useful at all last year. Within 3 lengths would have done better. 9 of the top 10 were within that range, with Wicklow Brave in 10th being the one to miss out. Only 5 of the bottom 10 satisfied the condition. The other item unearthed - and separated here due to it not being obtainable from freely available information - was having a Conduit Mare-derived Stamina figure of 17. 9 of the past 10 winners have now had this figure, whereas less than a quarter of starters had. There were 3 runners in the 2017 field who did: Rekindling, Almandin and Wicklow Brave. Neither of the Japanese runners announced recently have won a black type race, being 0/3 and 0/13 respectively. That could change in the meantime, of course. Very interesting thread, thanks Walkermac. Now I know why they pay up the final acceptance price and also fly out, it's worth it up to 12th place. They have a 50% chance of taking home their fees or better. Still think that 5% to the jockey is a bit dismal, I know if my jockey won the race, I'd be quite prepared to sling him 10%. Remember "they need miles in their legs"
Per this 2014 article, it costs around $150,000 to run a European horse in the Melbourne Cup: https://www.theguardian.com/sport/2...e-melbourne-cup. That's probably where the increase and extension in the lower places is derived from. Given the make-up of the fields nowadays though, plenty of the foreign stables will still end up out of pocket and only six more square. And that's not counting any prizemoney they would have otherwise picked up were they to race in their home territory instead. It gives me a bit more understanding regarding why some of these international topweights don't come. Last year, Order Of St George (which I still thought had a very friendly handicap of 58kg) decided to stay in Europe. He came 4th in the Qatar Prix De L'Arc De Triomphe ($285,500) and then won the Qipco British Champions Long Distance Cup ($430,000ish). He only beats that financial return if he finishes top 2 in the Melbourne Cup - and only Makybe Diva and Vinnie Roe have managed that with such a high weight since 2000. Not that many Internationals have won the race (including foreign favourites, but excluding New Zealanders), and I think it's because the foreign jockeys, Frankie Dettori included, just don't get the pace of the Cup, yes, one still goes at the clock tower, but the early and mid pace is a beast if it's not raining. but at the same time you may be right in terms of "insurance"
Last year's winning jockey, Corey Brown, has been booked to ride Magic Circle ($21) in the Melbourne Cup. (Ruled out by the "system"). His 2017 mount, Rekindling, looks like he won't make the race. Per owner Lloyd Williams, both Rekindling and Sir Johannes Vermeer have had setbacks and and may only make it to Australia towards the tail end of the carnival. It's still at $21 and in the third line of betting in Sportsbet's All-In Market, so either they're not taking Williams at his word or they're hoping to catch uninformed money. Johannes Vermeer is at $31. Almandin, at 9 years old, is the next shortest Williams runner at $34. Sir Edwin Landseer - looks to have snuck into the field for Saturday's VRC Member Darren Allsop Handicap over 2000m. I don't find him very appealing as yet. Only the 1 win in a 2yo Maiden over 1450m. Will want to show something in Australia. Exemplar - was set to race in Saturdays VRC Members Handicap over 1700m but is now scratched. Underwent a 'tie forward procedure' on arrival in Australia. Finished 12L behind Rekindling in a Group 2 last May. His 2yo season looks pretty good though and his last race was for 2nd place in a 2400m Group 3. Looks the best of the bunch. Belgravia - was going to be in the same race as above but has also been scratched. Also got beaten by Rekindling by a huge amount (21L). Crocodile Rock ($81) and Kiliminjaro ($101) are also racing in the VRC Member Maureen O’Connell Handicap over 2500m this Saturday. All the Williams horses went hard early. None of them did very well. Jaameh looked pretty decent. The target is the Bart Cummings, the winner there receiving a ballot exemption from the Melbourne Cup. Would be quite a long preparation in that case though, unless there's a freshen up in between.